Mobile Awareness® LLC is an Applied Technology company designing, developing and marketing commercial TPMS and back up camera solutions utilizing leading-edge sensor, computing and communication technology. As a engineering organization, their experienced team of software and hardware engineers look to employ the latest advancements in vehicle safety compliance to provide quality and cost-effective products. By focusing on loss prevention, accident avoidance and asset management, the cost to operate commercial vehicles can be considerably reduced. 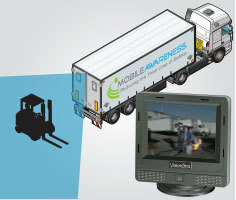 VisionStat from Mobile Awareness is a Vehicle Video Monitoring System that features digital colour LCD monitors with an integrated control interface, as well as CCD Cameras for the rear, side and front of the vehicle. 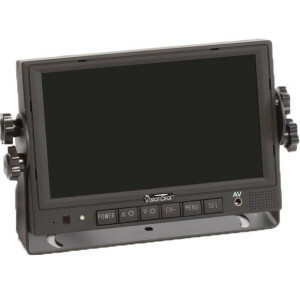 The system can monitor up to four cameras and each camera has at least a 120 degree viewing angle. SenseStat from Mobile Awareness is a unique Obstacle Detection Sensor System that uses the latest ultrasonic technology to detect objects that are up to eight feet from the rear of the vehicle. The system uses a unique sensor-scanning algorithm that reads each of the for separate sensors, displaying the actual distance to the one that is closest to an object. SenseStat provides both audible and visual alerts with its LED monitor and adjustable sound levels.